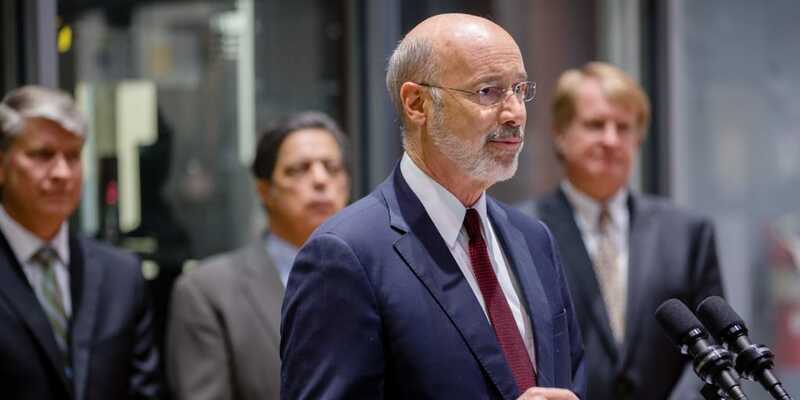 Harrisburg, PA – Building on his commitment to expand job training, Governor Tom Wolf today announced a new apprenticeship program for machinists in Southwestern Pennsylvania. The apprenticeships will prepare workers for new jobs in the machine manufacturing industry in the region. Apprenticeships are part of Governor Wolf’s PAsmart initiative to invest in apprenticeships, job training, and science and technology education. The governor’s budget unveiled last month builds on the success of PAsmart to create opportunities for Pennsylvanians from birth to retirement. The governor’s Statewide Workforce, Education, and Accountability Program (SWEAP) expands access to early childhood education, increases investments in schools, and partners with the private sector to build on the PAsmart initiative. In Ford City, a machinist apprenticeship with Herkules USA Corp was approved by the Department of Labor and Industry’s Apprenticeship and Training Office (ATO). Herkules USA specializes in manufacturing and modernizing new machines, and is dedicated to continuous training to ensure that their employees are up-to-date with technological developments. Westmoreland Community College will provide the related technical instruction for the apprenticeship program. The Wolf administration created the ATO in 2016. Since then, the office has registered 138 new sponsors and 193 new apprenticeship programs or occupations, bringing the total number of registered apprentices to 16,866 statewide. Apprenticeship programs approved by the ATO provide employer-driven training to create a more productive, highly-skilled workforce for employers and help reduce employee turnover. The program provides job seekers with increased skills, and a nationally recognized credential to support future career advancement and increased wages.